Save your feet from blisters around the pool this summer!! This summer we have added a new product to our outside color stain and seal offerings. This is a Cool Deck colored stain. It will lower the surface temperature of the concrete between 50-70 degrees! As you can see by the before and after photos below - it is a major improvement to the appearance also. 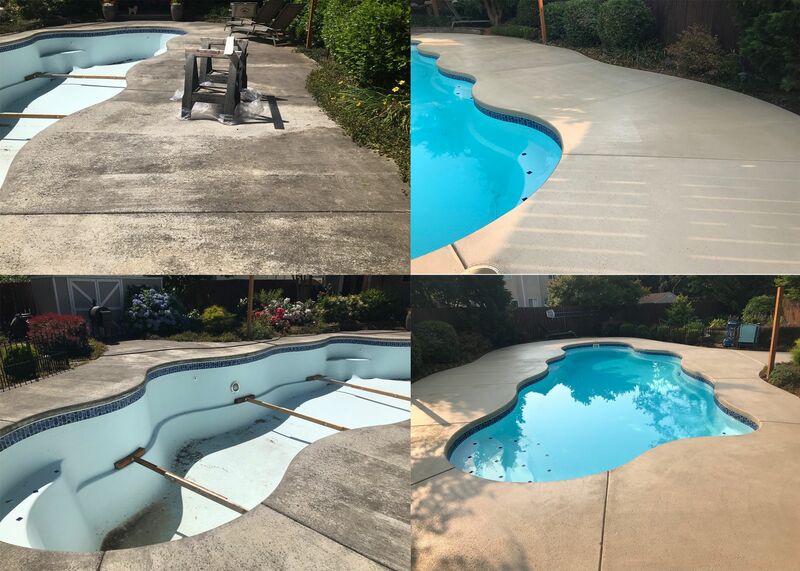 Call us today for a free assessment of your pool deck or other concrete area that you think might benefit from this type of application.